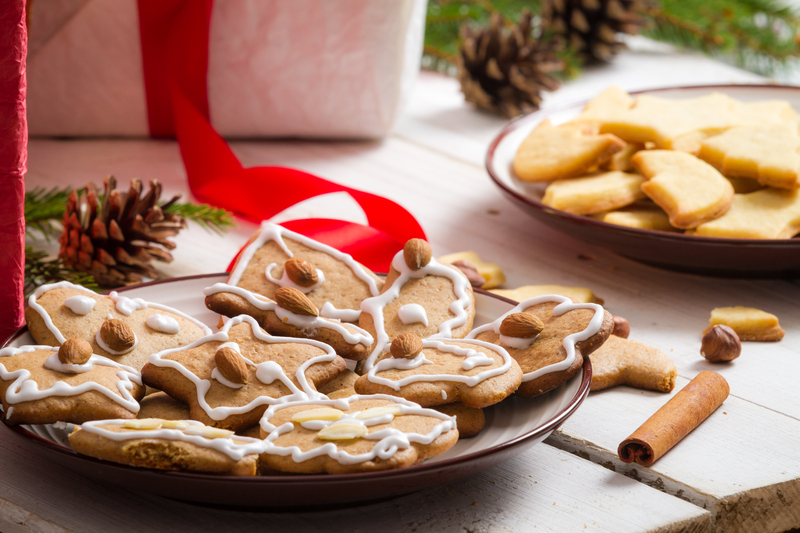 The holidays are here, so please take note of these common risks lurking in the kitchen. Grapes and raisins, particularly non-organic products that are heavily sprayed with insecticides, are often featured in holiday recipes. RISK: kidney failure. Xylitol is an artificial sweetener often found in gum, mints and other candies, and baked goods. Xylitol is toxic to dogs. RISK: internal hemorrhaging and liver failure. Chocolate and cocoa contain the chemical theobromine, a caffeine-like compound that is toxic to pets and one of the most common causes of canine poisoning. The amount of theobromine is highest in dark chocolate, so be especially careful with products such as bakers and semi-sweet chocolate. Espresso beans dipped in chocolate are especially problematic, as they provide a double dose of poison (caffeine and theobromine.) RISK: vomiting, diarrhea, hyperactivity, tremors, rapid heart rate, seizures and death. Uncooked yeast-containing dough, RISK: abdominal discomfort and potential rupturing of the stomach or bowel. Hot, aromatic liquids, such as meat drippings, soups, and gravy, can be very enticing. Keep them away for the edges of the stove, counters, or tables where your pet can easily reach them. If your pet is a climber, prevent them from using chairs for stools to gain access to these hot items. RISK: scalding. Cooked bones. Cooked bones can splinter as your pet chews them. RISK: splinters stuck in the throat or tearing the tissues of the intestines. Kitchen trash. The smells in your kitchen trash can be very enticing to your pet. Make sure all your trash containers are either out of reach of your pet or have securely fitting lids. RISK: consuming meat-soaked string, which can cause serious gastrointestinal issues; spoiled food that may contain bacteria or parasites; cooked bones that may splinter; or other foods toxic to pets (eg, chocolate, xylitol, uncooked yeast dough, raisins, or grapes).